There is nothing like hands on learning. There are several great classes and seminars being taught but nothing compares to hands on, one on one learning. If you are new to alpacas and still learning how to care for, breed, deliver cria and get them nursing in a short period of time and are figuring out how to best lay out your ranch, it is great if you have the opportunity for ongoing mentoring. 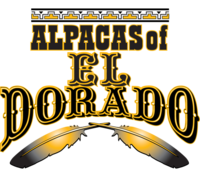 When you purchase animals from us, you have the opportunity to stay with us here in the beautiful Sierra Foothills and learn the day to day operations of running a successful and efficient alpaca ranch. There is no charge to our clients to stay with us as often as you like and learn while your alpacas are in our daily care. All are animals are sold with full reproductive guaramntees. Breedings are backed by a 30 day live birth guarantee and all animals are sold bred or with a breeding when they are ready and come with an additional free breed back. For paid breedings if you do not get a female offspring you can breed the dam back to the herdsire of your choice for free. Nothing can ever take the place of integrity and honesty in any field. As you get to know us and as you talk with others in the industry you will find that we take our reputation and how we deal with others of utmost importance. Visitors are amazed as they walk through our barns and pastures that there is no bad smell. Daily dung removal from all barns and pastures as well as the use of premium pine bedding and absorbent materials keep odors to a mimimum. The pastures are maintained in a safe and clean condition at all times. We have not been in this business so long that we have forgotten what is was like to have so many questions. We are always available to answer your questions both in the beginning and down the road as your ranch and businees grows. Guidance in terms of breeding goals, herdsire choices and niche marketing is an ongoing discussion and learning curve. We will be here to help guide you, to give you our honest opinion on choices and also will be an ongoing reference in recommending other ranches you may want to deal with for animals purchases and breeding options. All animals are sold with free breed backs to the herdsire of your choice including some very outstanding Studmaster males. We have some excellent animals to choose from that offer outstanding pedigrees that include very marketable, nationally known herdsires. We offer discounted packages for multiple purchases. Multiple purchases can also include a free junior herdsire of your choice. Financing is available with monthly payments on all purchases and we also offer a No Money Down purchase option. Since we show most of our animals, they are all halter trained and usually easy to handle. Since we are very hands on in the pastures the animals are used to the presence of people and have good dispositions. All these points are easy to put in writing but the proof is in whether they are carried out in practice. Schedule a visit, come see our ranch and animals and check us out. Give us the opportunity to earn your trust and business and know your alpacas will receive the highest degree of care and attention to detail while they are here with us.